In my maiden speech, I said that parliament was an intimidating institution, not to me personally, but structurally. Just over a century ago, parliament was off limits to my class and my gender. We couldn’t even vote for it, let alone enter it. I didn’t think this was a particularly bold statement, but I have since received a pretty severe backlash. In the few months since then, as I have gone about my daily work as an MP, I have begun to realise just why so many others were affronted by my claim. There is a glaring and tangible fissure between those who run Britain in reality – that is, those who keep our economy and our public services running day in, day out – and those who have power and control in our society. When I ask myself “who runs Britain?”, my first thoughts are drawn to all those people who serve us: the people who build things; the public servants: small business people; the teachers and teaching assistants. I think about those people who get up and strive every day make this country run, who get out of bed when they don’t want to – when they are exhausted and need more sleep. When I think about who have power, I also think about all those inspiring activists, all those people who consistently challenge the system, who organise in workplaces, who use their own powerful agency every day. Power is not just about institutions, it’s potentially in all our hands, when we organise and campaign together. When, on the other hand, I think about who has control in society, my focus turns to the establishment. I never thought I would be somebody who talks about an “establishment” as such, for fear that it sounded conspiratorial. But in the recent years of my political activism, the way in which I have witnessed the character assassination of a socialist Labour leader, the way our movement has been denigrated, lied about and positioned as a threat to national security tells me that there are some people very concerned at the power we are unlocking. Whilst Westminster itself, the language and the traditions of parliament might be evocative of an Oxbridge or public school experience, they are far removed from the reality of working class life. These details may seem superficial, but they are a symbol of a greater control. The activity that happens inside parliament, the rules and traditions are a vehicle for something more controlling, rather than just a quaint relic of the past. Most importantly, what it represents is a system that is completely failing at its representative function. The building may be old, but is not just Big Ben that needs maintenance. Only an institution that is so under-representative of working class people can produce a government as blinkered as this one. We must expose the absurdity of our current system, we should shine a light on the cosy, privileged networks which lock out our people, our communities and our class. We have to call out poverty pay for what it is: it is robbery from the real wealth creators. We must aim to build a system which places real power and control in the hands of workers and communities. 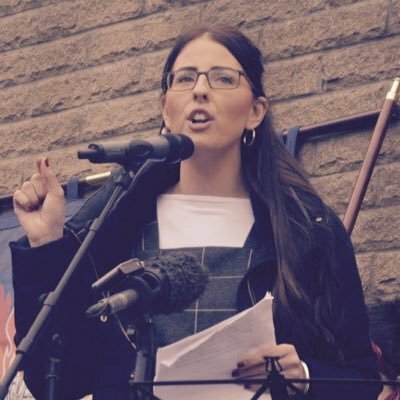 Laura Pidcock is MP for North West Durham.